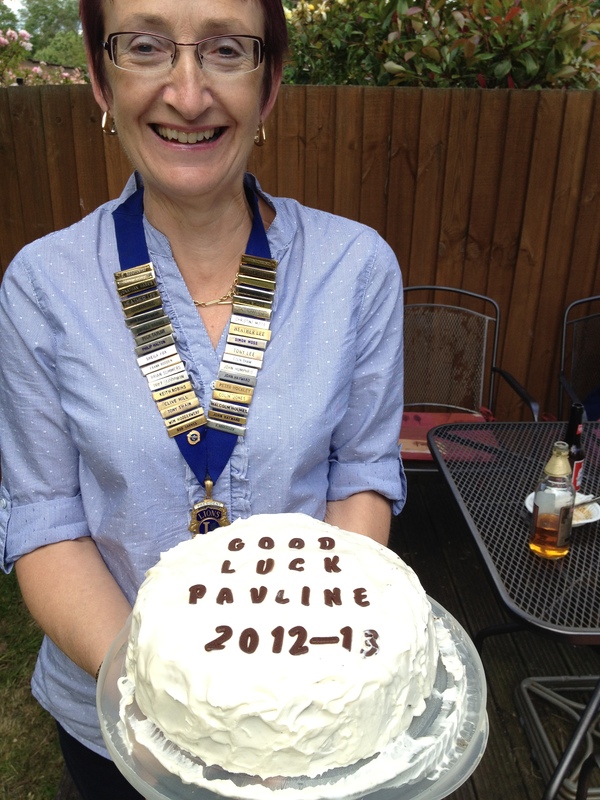 Our club president for this year is Pauline who is also fulfilling the role of District Secretary this year as well as continuing as district water projects officer to continue her efforts to raise £20,000 to repair ten wells in Niger. Just to make sure I’ve got something to do this year I am taking on the role of club secretary and Christine is adding club treasurer to her jobs in addition to continuing as region chairman. 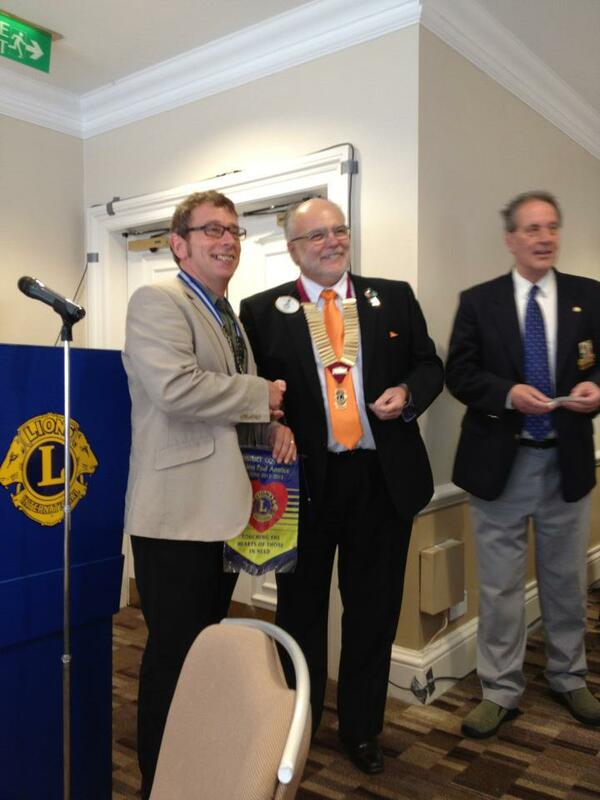 For district handover there were about 90 Lions and partners gathered for the meal and the handover ceremony. There were several new faces as well as a lot of old ones making up this year’s cabinet. Although I have a year to go I will be thinking about my cabinet throughout the year, keeping an eye on the current officers as well as looking for some new blood for next year. As well as the handovers I have attended the first membership Team meeting of the year and what a positive meeting it was. For the first time in several years the district membership numbers rose last year albeit by 13 members but this represents something like a 45 member better performance than each of the last five years or so. The news continues to be good with several prospective members on the books of clubs throughout the district and some new clubs on the horizon. My fellow club member and good friend Mick has agreed to organise my travels for the next couple of years and has sent out invitations to the 15 clubs that I will be visiting this year. He will also be looking for volunteers to go with me as driver or companion for the visits. The year starts in anger this Saturday with me hosting the first DG team meeting of the year, and providing a meal, and this will be closely followed next week by the first long-range planning and finance and administration committee meetings of the year.